Preheat over to 400 degrees. Line cupcake tin with paper liners. Combine one tablespoon sugar with ¼ teaspoon cinnamon and sprinkle half of the mixture into the bottom of each paper liner. 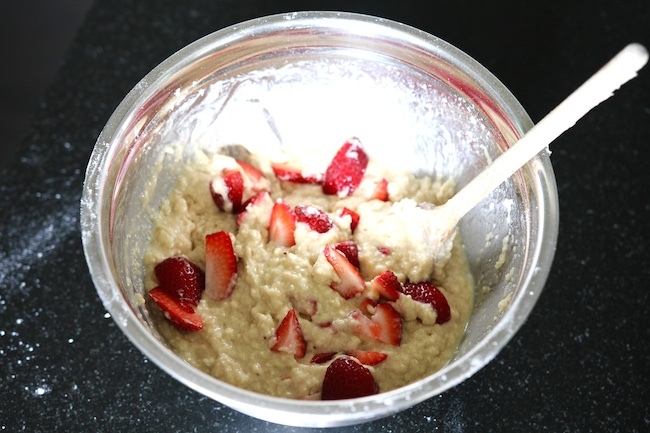 In a large bowl, combine flour, baking soda, cinnamon, salt, sugar, and half the strawberries, reserving half for placing on top of muffins. Add ricotta and mix in gently. 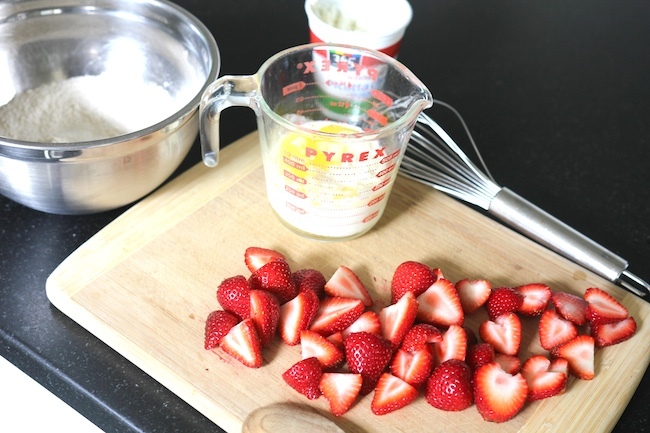 In a smaller bowl, whisk together melted butter, milk, and egg. 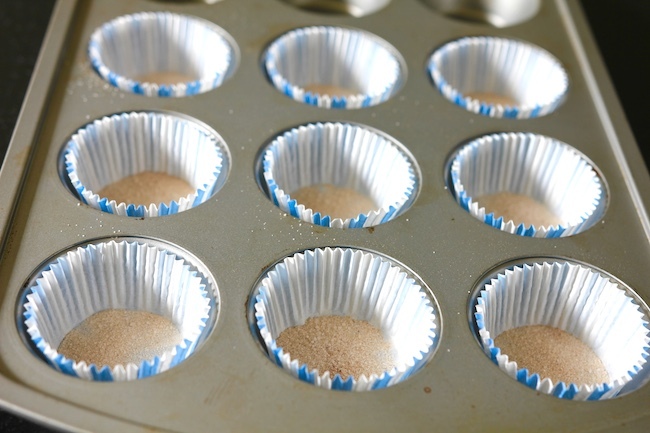 Add to the flour-and-strawberry mixture, and spoon batter into paper muffin tins. Do not fill beyond 2/3 full. 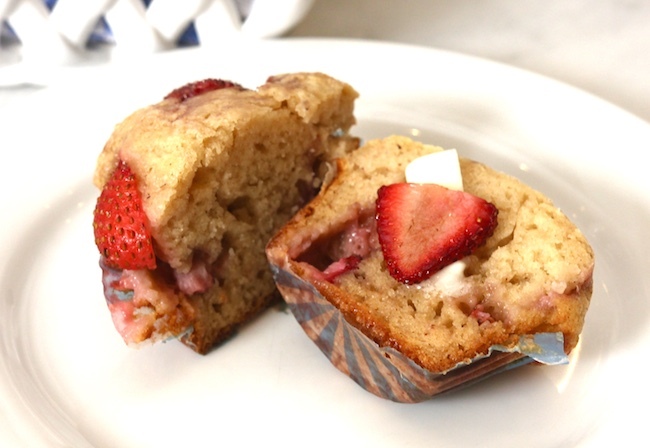 Top muffins with reserved berries, and sprinkle with rest of cinnamon and sugar. Bake for 20 minutes until tops of muffins are golden brown.